Rasam Powder / Rasam Podi is quick and easy to make masala powder which is very flavorful. Rasam is a traditional recipe of south India and any meal is incomplete without our Rasam.This is also known as South Indian tomato soup which is made with tomatoes ,tamarind and some spices. My grandma always says that rasam helps in digestion and during rainy season Pepper Rasam makes us feel more comfortable and refreshing . The spices added gives a unique flavor and taste to the recipe. There are lots of variations we can make - tomato rasam, pepper rasam, Poondu rasam, pineapple rasam and lot more , everything has one thing in common i.e our Rasam Powder. Small amount of our rasam powder is enough to make a huge difference, it enhances the taste and aroma of the rasam. Heat and pan and dry roast coriander seeds on a medium heat. Once half done add curry leaves and roast until the seeds are nicely roasted. Next roast pepper until you feel the nice aroma.Then roast cumin seeds and set aside.Cumin doesn't take much time to get roasted. Roast Thor dal and channa dal together until it changes its color - golden brown. Finally roast the dry red chilies and keep it aside. Since we have already added pepper corns so not add too much of chilies just 8- 10 will be enough. After roasting all the ingredients allow the mixture to cool completely. 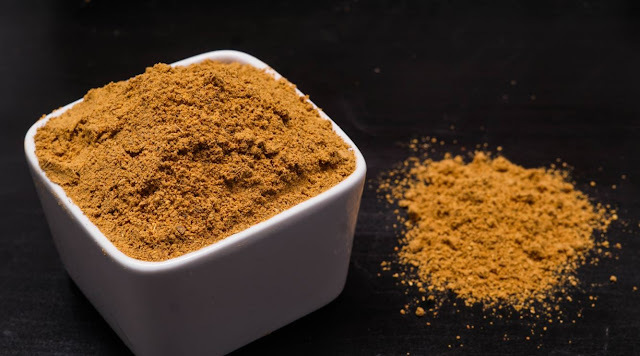 Once cooled transfer the contents to a blender and grind ,Once it is half done add Asafoetida and Turmeric powder and grind it to a very fine powder. Cool the powder completely and store it in an air tight container. That's it our rasam podi is ready to be used. To make rasam with rasam Podi :Heat oil and temper with - mustard seeds, fenugreek seeds, dry red chilies, curry leaves, (pinch of turmeric and Asafoetida if required) . Then 3 cloves of garlic and tomatoes , then add a tbsp of our rasam powder and cook for a minute. Finally add tamarind extract, water , salt and bring it to boil. Garnish with coriander leaves and turn off the heat. Our delicious and tasty rasam is ready to be enjoyed with rice. Curry leaves adds more flavor to the rasam powder. If you are using solid Asafoetida then roast it for a few seconds after turning off the heat. Roasting the spices separately helps from burning. Rasam Podwer / Rasam Podi is a spice mix used to make rasam. Rasam is a traditional recipe of south India often served with meals. This rasam podi enhances the taste and the flavor of the rasam.